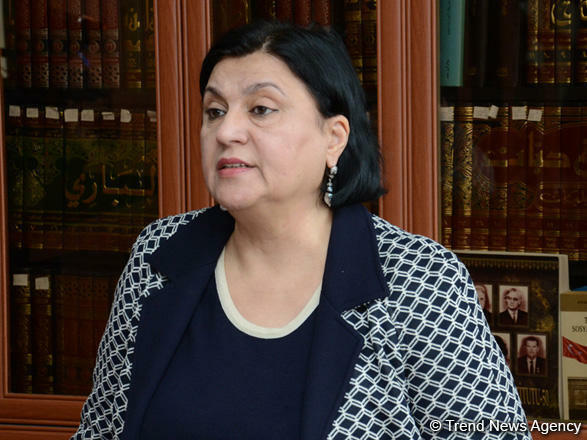 The events that took place on the night of January 20, 1990 were aimed at breaking the spirit of the Azerbaijani people and hindering their struggle for independence, Director of the Institute of Oriental Studies of Azerbaijan’s National Academy of Sciences, MP, Doctor of Philological Sciences, Professor Govhar Bakhshaliyeva told Trend. She noted that these tragic events became a heroism page in the history of the Azerbaijani people. She stressed that the January 20 tragedy was a planned armed aggression of an empire against the Azerbaijani people. “Hundreds of people were killed, injured and illegally arrested in those bloody events,” Bakhshaliyeva said. She added that the Great Leader Heydar Aliyev was beside the Azerbaijani people at that time as well. “It was thanks to his efforts that the whole world learned about this bloodshed,” said Bakhshaliyeva. “The Azerbaijani people never forgot and never forgets their heroes,” she said.